Your lives are being stalked, America, by an elephant wearing a red, white and blue waistcoat, carrying a gun supplied by the National Rifle Association, with a war chest supplied by fossil fuel millionaires like the Koch Brothers, and a hunting license granted by an ignorant and ill informed electorate that will be among the first to die when the gun barrels open up on their health care coverage. – Rep. Paul Ryan, (R-WI), in a CNBC interview, Tuesday. There is no doubt that Paul Ryan, Speaker Boehner, Majority Leader Eric Cantor (R-VA), and the rest of the uncompromising GOP caucus see this maneuver as a political winner. After all, it’s the incredible amount of of lies and misinformation being screamed at Congressional town halls during the 2009 health care debate, and the frustration that the law got passed by the Democrats, that created the Tea Party movement which gave the Republicans their majority. They will probably get those votes again, and they will sadly fall in line with Medicare cuts larger than anything going on in Obamacare. Maybe every vote for a Republican this year should come with a tracking system for your sick relatives and your empty wallets, because that is exactly what the Republicans are aiming for. By reelecting them, you get to help them push granny over that cliff, and you get to go broke trying to save your child when they’re diagnosed with (God forbid) leukemia. The health care law will save money. The health care law is already saving lives. Such inflammatory rhetoric is not the civil discourse required of serious policymakers to solve such an enormous problem in the world’s wealthiest democracy. But in the world of federal government gridlock,we have drifted from a system of checks and balances to a default setting of just checks. Congress checks the president; the president checks Congress; the Supreme Court checks both; and except for the conscience of Chief Justice Roberts two weeks ago, nothing seems to have reached any kind of balance. Our founding fathers did not create a government where two sides were never to agree. They created a government where both sides were required to find a way to agree, in order for the Republic to survive. The truth is, what the Republicans in the House of Representatives are doing is the real government takeover. They are taking your right to health care away, “sending an unmistakable message to voters that Republicans want to cut benefits for middle class families and protect insurance companies instead,” Rep. Steve Israel (D-NY), wrote in a recent statement. All this emphasis on repealing Obamacare may be great for Republican fundraisers, including the Romney campaign and the super PACs, but for middle class Americans, it’s nothing but a waste of their time and our money. The only way to fix things is to turn Paul Ryan’s advice around, and send more progressives to Congress , to fix the big money, perpetual campaigning problems endemic to an institution that at one time was respected for crafting policies that help our society, and don’t take aim at the middle class, robbing us from behind handkerchief masks they pulled from their designer suit pockets, and kicking our powerless asses to the curb. Reclaim Congress. Restore reason. PG, I take issue with much of what you wrote (big surprise). However, your use of poetic license is very interesting. Tracking sick relatives? Push granny over the cliff? Save your child? Really? 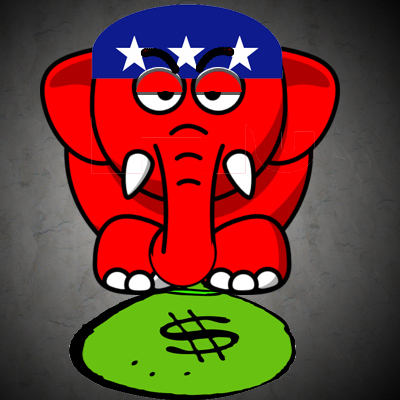 Are you convinced that Republicans are evil? Your conclusion that “The health care law will save money. The health care law is already saving lives” Is inaccurate and misleading. I believe that the health care law will cost money and that it is not saving any lives right now. I believe that progressive oriented supporters distort facts and history. For instance, Politifacts today in the AJC gave a misleading read on, the cost of ObamaCare, by leaving out the actual tax increases on capital gains on that are in the bill. Whos life has been saved by ACA? More importantly, although insurance rates have dramatically increased since the bill passed the Senate, the cost of the ACA does not even kick in until after the election. Furthermore, many legislative maneuvers were used to get the ACA passed, it was not bipartisan and squeeked by in the Senate. That is why many Representatives continue to try to undermine the bill. I want my Congressmen to oppose the bill. Do changes need to be made to our health care delivery system, yes. Is ACA the answer, heck no. Additionally, I do not support an increase in the size and scope of the Federal government. Government involvment is not the answer to the health care question.